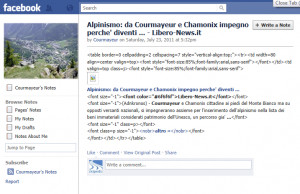 Lots of exciting new posts from Courmayeur? I posted last week showing how automating your Facebook updates may not be the best idea. Scrolling through the pages that Skipedia follows on Facebook this morning, I couldn’t help notice some ugly automation. 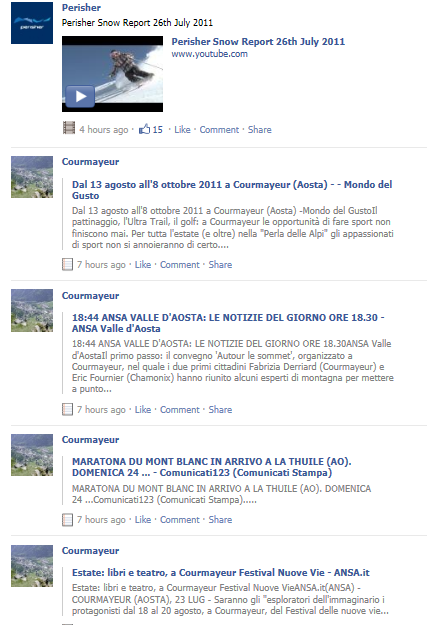 Lots of exciting new updates from Courmayeur? 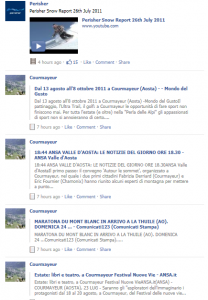 I could only fit four Courmayeur posts into this screengrab, but there were more! On the face of it, it’s great Facebook activity, with lots of new content. ‘Notes’ are widely underused on Facebook. As Google spiders all Fan Pages, using Notes can assist SEO. Effective content in Notes can increase incoming links and boost rankings for certain keywords. It’s also a neat feature that Notes can be automated, with blog posts automatically exported to Facebook. If you are considering doing this, please try not to create Notes like the one below. 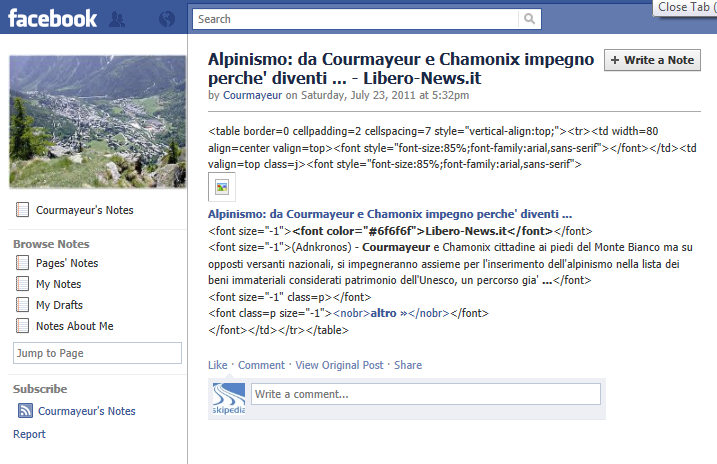 Do you really think that your Facebook fans want to spend their valuable time looking at unintelligible pages like this?